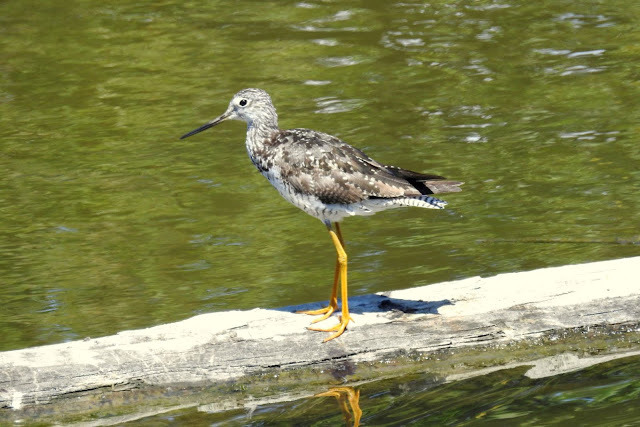 Even though it's the slowest time of year at Reifel, the Sanctuary has more to offer than most other locations in the Lower Mainland. This Sunday was no exception. 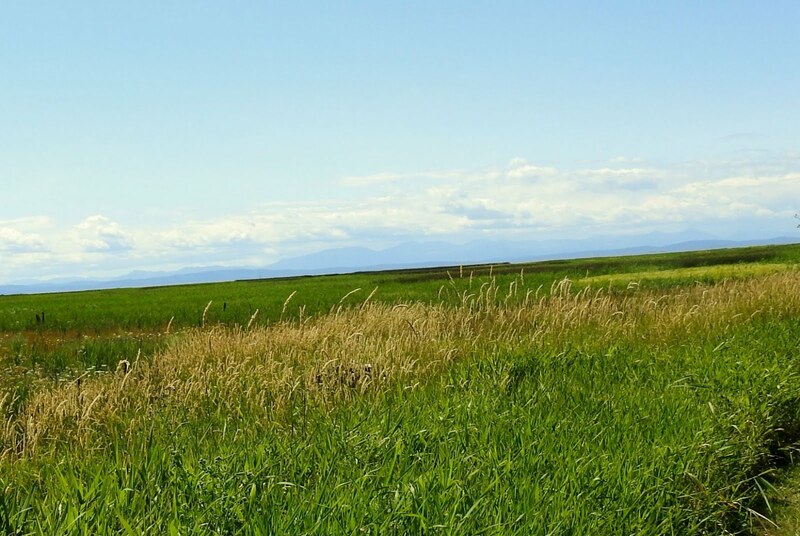 After entering the Sanctuary, I noticed quite a few people looking into the Fuller Slough, quite close to the entrance. 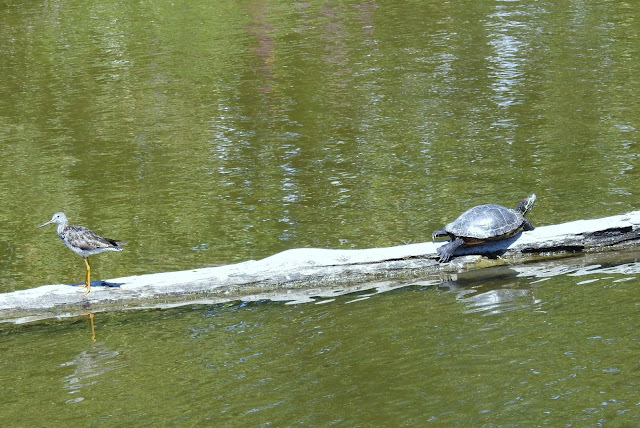 The attraction was not any bird species, but a teeming horde of Carp. 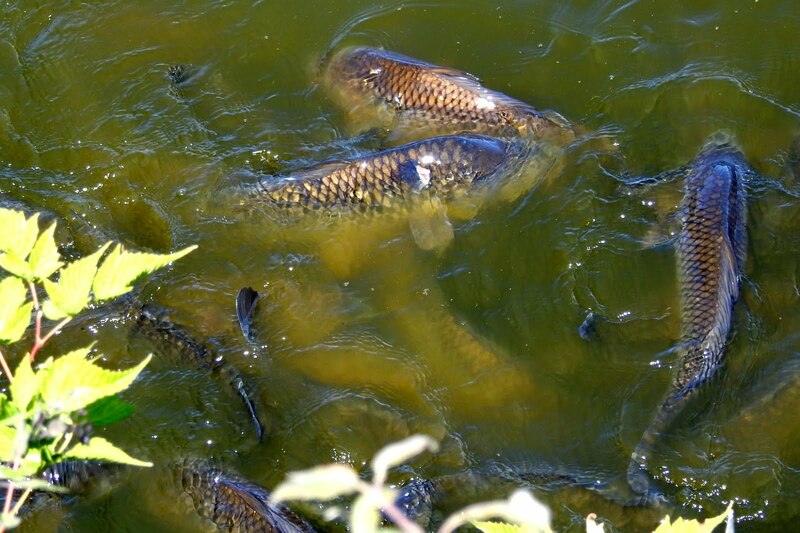 Apparently, there is so much bird seed that flows into the slough, it sometimes attract these omnivorous fish in good numbers. I'm trying to remember to take some landscape photos at the various sites I visit so that readers can get a feel for what the place is like. This shot was taken from the westernmost viewpoint of the Sanctuary. Further along the west dyke trail I noticed what appeared to be an immature Tree Sparrow perched in a tree overlooking a pond in the West Field. 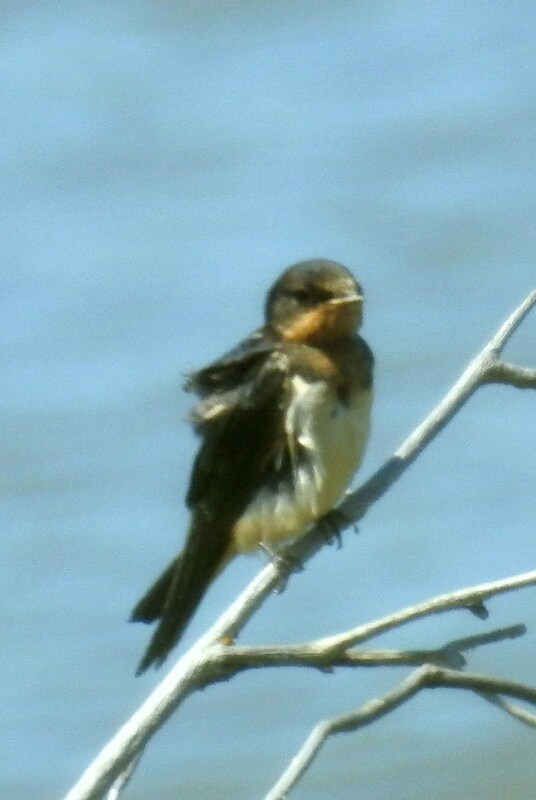 After downloading the photos, I changed my identification to Cliff Swallow based on the red bib. Also, this species is known to breed at Reifel. This shot's a bit fuzzier as I zoomed in with the Nikon. I think it also distorted the colouring of the bib at this distance. 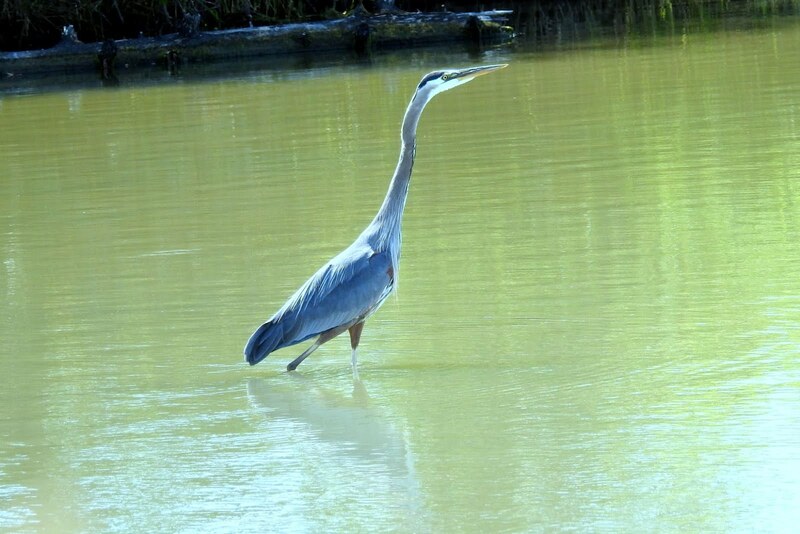 You can always count on a Great Blue Heron to pose for you in the southwest part of the Sanctuary. Below is a photo of each individual. if anyone wants to argue that the Yellowlegs is a Lesser and not a Greater, I'm willing to listen. It seems to have the upturned, longer bill of the Greater. 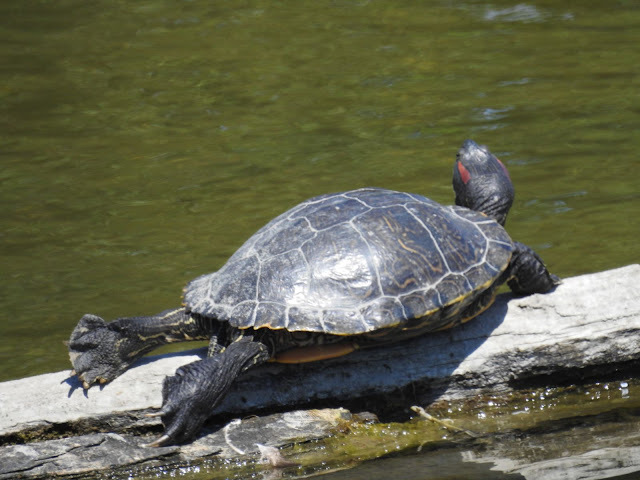 This is definitely a Western Painted Turtle, with a rare look at the rear legs. The next shot is probably a pair of Greater Yellowlegs, perhaps at different depths in the pond. 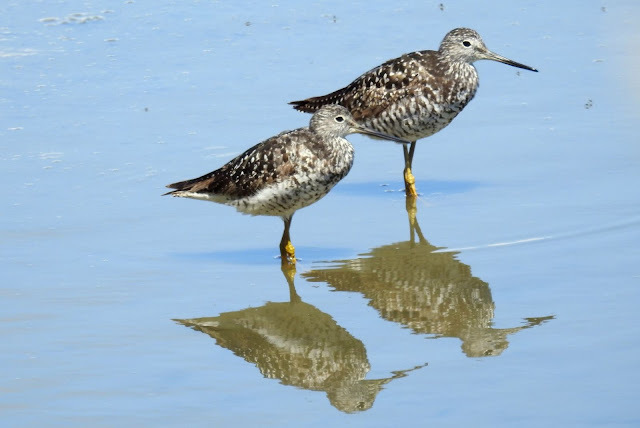 Another shorebird complex that causes ID problems are the Long-billed and Short-billed Dowitchers. The Long-billed are more common in fresh water, and it's generally accepted that the ones that frequent the ponds at Reifel are Long-billed. 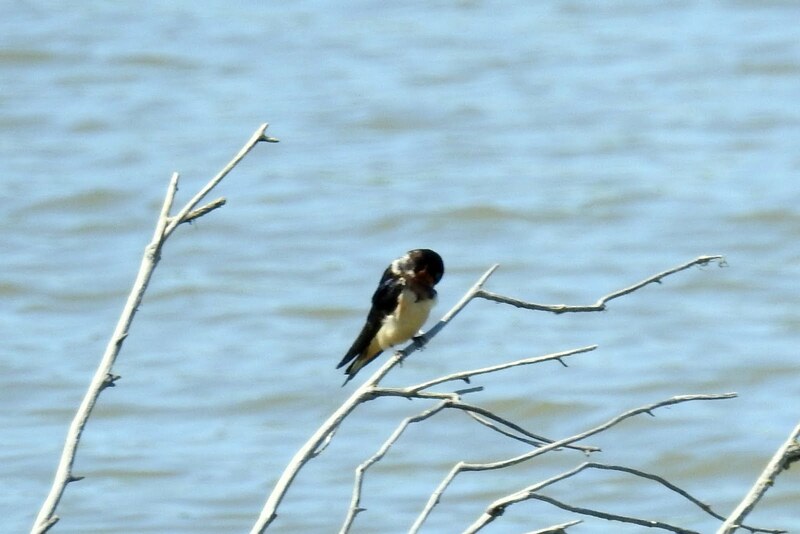 Further along the West Dyke trail I saw another young looking Swallow. 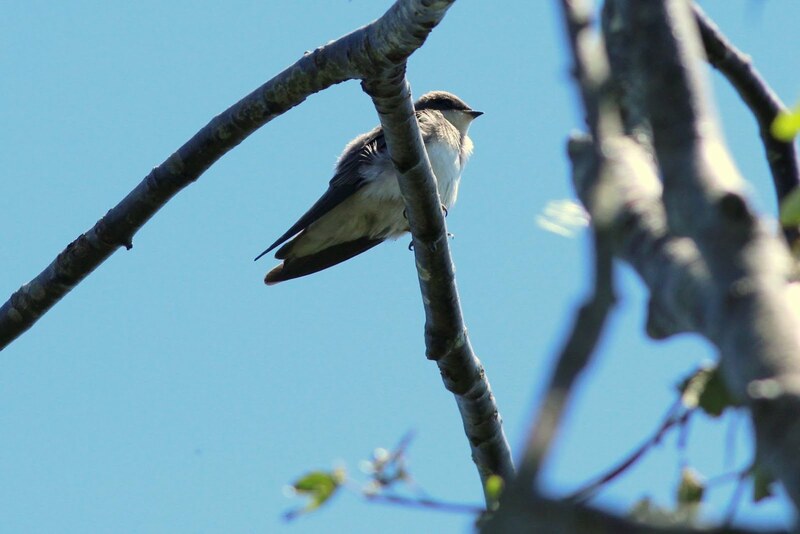 I believe this is a juvenile Tree Swallow with the clear demarcation between dark and light on the dace. 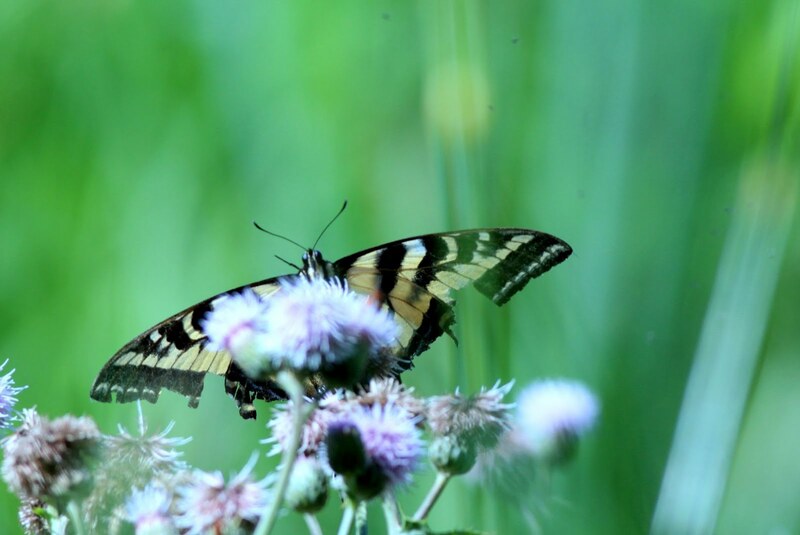 The next creature I saw was a member of the insect world, a Swallowtail Butterfly. I believe it is an Anise Swallowtail, a common one in the West. The butterfly looks quite worn, not sure if it's missing pieces on the underwing or if that's normal. 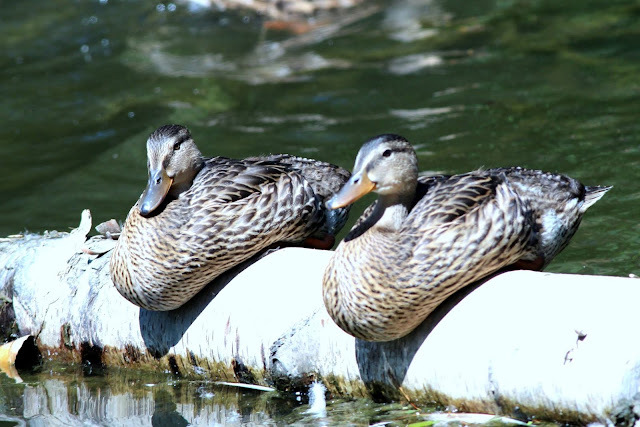 Much healthier looking are these Mallards, probably taking a rest as their offspring may now be self sufficient. I left the Sanctuary but my birding was not quite done. 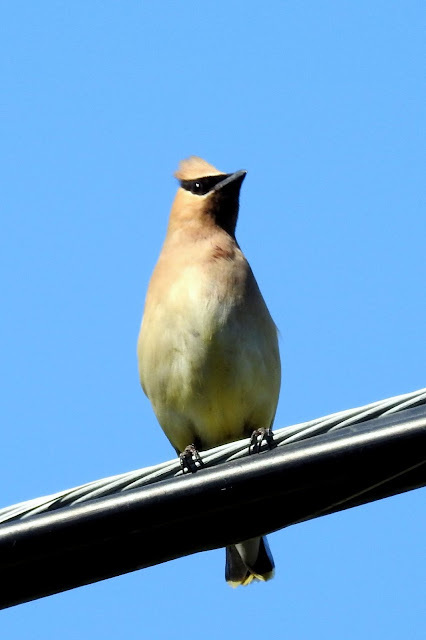 As I was driving along Westham Island I noticed some Cedar Waxwings in the trees along the road. Traffic was sparse, so I was able to stop and get some shots out the window with the Nikon. This was the best one I took. 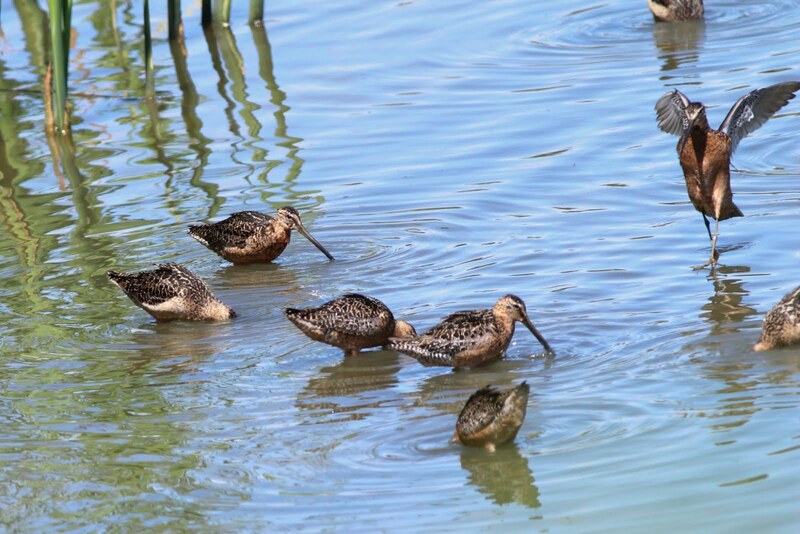 That was the end of another productive Sunday at Reifel Bird Sanctuary.